was born in Rome, Italy and migrated to Sydney, Australia at a young age. He graduated in 1988 from Newington College in Sydney. In 1989, Claudio worked in the News Department for the Australian Broadcasting Corporation (ABC-Channel 2) as well as on various independent documentary projects. In 1991 Claudio moved to the U.S. and attended the University of Southern California’s Film School. Over the next few years, Claudio produced and directed numerous documentary projects for (PBS.) In 1999 Claudio directed a Television Series for PBS starring Jane Seymour called “Healthy Living.” In the next few years, Claudio was president and CEO of Vertutech, Inc. a technology development company which specialized in creating automated content management systems (CMS) for websites. Chris Hanna is a born and bred El Paso filmmaker, documentation and editor. 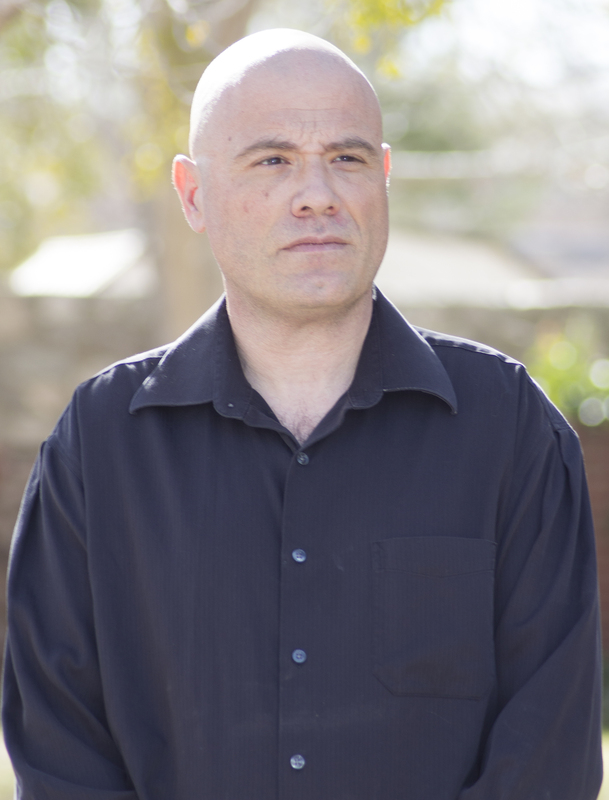 He has made a number of short films and documentaries which have been successful in the festival circuit, including a regional Emmy nomination for Best Editing in a College Production with his short film “The Talk in the Night” in 2016 and a regional Emmy award for Best Editing in a College Production with his more recent film “Pitch Black” this past year (which was among 6 nominations they had received with the three films they submitted). Chris is also the director, co-producer, editor and principal cinematographer for a local PBS show in Oklahoma, “Art of a Cowboy”. Currently, Chris is working on a local documentary in El Paso, “Beyond the Dream”, which follows high school students who tour the east coast Ivy League colleges through the College Mindset Ivy League Program, in hopes of being accepted to these top tier schools. He has also made promotional videos for companies in El Paso, such as Tropicana Properties and Tropicana Homes. He is collaborating with Shine On El Paso as well, creating content to show the best of what El Paso has to offer. This past year, Chris had the privilege of meeting with Tony Romo, to create a feature documentary detailing the life of the former Cowboys quarterback; the project is currently entering post-production. Brandon Bailey Johnson – Guinness World Records “Youngest Professional Music Producer”. Brandon achieved the title at age 12 by *Producing, *Composing, *Arrangin g, *Recording and *Performing all the instruments on his debut album – “My Journey”. Bixelium Entertainment is a video game studio based in Ciudad Juárez, Chihuahua, Mexico. Born from the interest of a group of young people from the border with the desire to develop creative solutions to companies and the entertainment industry. Its a group who loves to create new things, stop being just a consumer and become a developer fuels each one of us on a daily basis. Mariana Laguera is a video game TV host at GamerTag and Ctrl Gamer and Indie game developer. She is a Nintendo fan and loves to play and talk about video games. Dr. Ivan Gris is an award-winner researcher, developer, and entrepreneur who has been working on virtual reality, augmented reality, and mixed reality for the past 6 years. His work has been showcased across the globe, where he has given multiple talks and workshops about how to make these visual technologies more interactive and entertaining. The former CEO of Inmerssion was recently appointed as Beacon Hill VR’s chief technology officer, where he works with his development team in building mixed reality applications. Eric is a career-long creative technologist specializing in motion graphics programming and design. He is a founding partner of By and Large, an award winning creative agency based in Red Bank, NJ. Prior to that he was the director of creative technology at Havas Worldwide where he entrenched himself with creative teams, creating everything from interactive social games to rapid web-app prototypes to 3-D motion graphics. Freddy Klayel – Shine On El Paso! El Paso Shine’s goal -to be THE leading organization in the El Paso area for Inspiring, Mentoring, and Preparing youth who share an uncanny commitment to achieving their goals while promoting their hometown. Shine on El Paso! is a nonprofit organization whose mission is to inspire, mentor, and prepare the next generation of young entrepreneurs, and civic minded revolutionaries in El Paso, Texas, for the purpose of expanding their intellect, nurture an altruistic heart, and to engage in the civic and business affairs of their hometown as active stakeholders. To communicate our vision and create programming that promotes a more Positive, Vibrant, and Exceptional El Paso, Texas by forging relationships with individuals and organizations who are highly recognized in their fields who want to learn more about our community and use their influence to help others understand the importance of our city. Shine on El Paso! is a non-profit entity based in El Paso, TX that is focused on promoting 3 focus points for the city, and its people. Cultural awareness, Education, Community Development. Executing goals by creating distinct programs to encourage civic awareness, foster education innovation, strengthen good-faith relations with Juarez, Chi. M.X, and hosting an annual celebrity golf tournament. Goal 3 Promote the visual image of El Paso. Goal 4 Enhance El Paso’s quality of life through recreational, cultural, and educational environments. Goal 5 Promote transparent and consistent communication amongst all members of the community. Goal 6 Set the standard for sound government and fiscal management.